Is Cryptocurrency a Threat to Accounting Professionals? Financial transactions are the center of the world of accounting. Whether it is helping a person or business balance their books, monitoring incoming and outgoing payments, or assisting with tax filings, financial transactions are at the core of the field. Since cryptocurrencies don’t follow standard transaction processing protocols, does that mean these digital coins are a threat to accounting professionals? Cryptocurrencies began making headlines in late 2017 thanks to the Bitcoin boom. When this most recognizable cryptocurrency reached its peak, near the $20,000 mark, everyone took notice. This increased the popularity of not just Bitcoin but also a range of altcoins. Litecoin, Ethereum, and others all benefited by association. As a result, more people bought into cryptocurrencies. Additionally, an increasing number of businesses began to allow some of the larger ones as payment mechanisms. This introduced new complexities into the world of financial transactions. These complexities included some that directly impact accountants. The use of blockchain technology is also becoming more widespread. Blockchain, while not a cryptocurrency, is often associated with Bitcoin. However, it is merely an approach for handling various transactions and records exchanges. Due to this technology accountants may begin to encounter this technology more frequently. Blockchain creates an opportunity for a new kind of accounting ledger – one that can be updated continuously, verified with ease, and can’t be altered or corrupted. As a result, more companies are looking for paths that allow them to integrate the technology into their accounting practices. The use of blockchain may grow rapidly as a result. Cryptocurrencies affect accountants in a variety of ways. First, when people started using cryptocurrencies as investments, they became liable for tax if they sold any coins and ended up profiting. Often, the capital gains tax has to be applied, and accountants have to deal with assessing the proper amount if their clients sold cryptocurrencies for a gain. Additionally, if an accountant supports a business that accepts cryptocurrencies as payment, they need to be ready to track these transactions. This can be complex as the value of digital coins like Bitcoin shift dramatically in very short periods. Plus, cryptocurrencies are still fairly new, so the laws surrounding how these transactions need to be tracked aren’t very solid. They may also change several times over the next few years. The learning curve can be fairly steep, both for companies and accountants that support them. This is especially true since many accounting software platforms don’t have mechanisms for dealing with cryptocurrencies. As a result, recording and monitoring the information may be an incredibly manual process until the technology catches up. In some cases, accounts also have to be ready to advise their clients on cryptocurrencies. Since many people are increasingly interested in these digital coins as investments, accounting professionals must be prepared to answer questions. They must also be ready to discuss the risk and explain how the transactions work. How cryptocurrencies will impact the future of accounting is still up in the air. While many people are still enthusiastic about these digital coins today, there is a lot of uncertainty surrounding the market. Some believe that cryptocurrencies will become more commonplace. They believe this will result in wider spread use and acceptance by businesses. However, new regulations may hinder the market or remove much of the appeal, leading to a fall. Ultimately, all accountants should prepare to encounter cryptocurrency-related transactions soon, if they haven’t already. 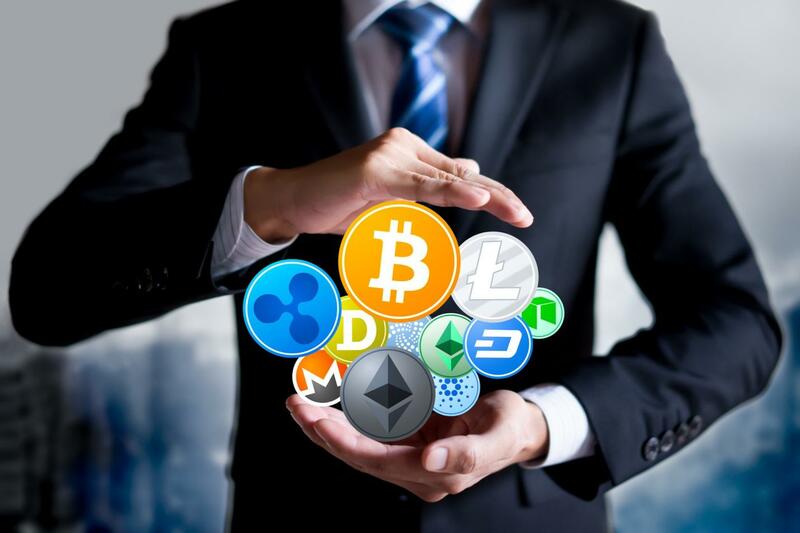 At a minimum, accounting professionals will need to deal with the gains and losses that come with using cryptocurrencies as an investment. As many are already taking notice, people will likely continue to use these digital assets as a vehicle for investing for at least the next few years. Additionally, being ready to advise clients about the benefits and risks of cryptocurrencies is essential. Educating themselves on the markets and viability of cryptocurrencies should be on every accountants’ to-do list, as it is practically a guarantee that someone will ask questions about them. Finally, being ready to embrace blockchain is a must. Since this technology can stand alone, fully independent of cryptocurrencies, it may persevere even if cryptocurrencies ultimately fail. After all, the Big Four are already exploring blockchain, and most other firms are almost guaranteed to follow suit once the technology is proven. To put it simply, no, cryptocurrency isn’t inherently a threat. However, it could be a gamechanger. It could impact how people purchase goods or services, invest, and more. Plus, blockchain could redefine the standard for recordkeeping. This move alone will act as a disruptor in a field that hasn’t experienced a great deal of change over the decades. Savvy accounting professionals need to prepare themselves to deal with these technologies. Otherwise, should they become out of place, they’ll quickly find their skill sets have become obsolete. Do you think cryptocurrency is a threat to certain professions or industries? Share your thoughts in the comments below. Where Can I Sell Gift Cards for Bitcoins?